Quite some time ago, I read the first volume of a manga about a young girl and her pet giant spider living in a post apocalyptic world. Finally, I’ve read the second volume. Giant Spider & Me: A Post Apocalyptic Tale, Vol. 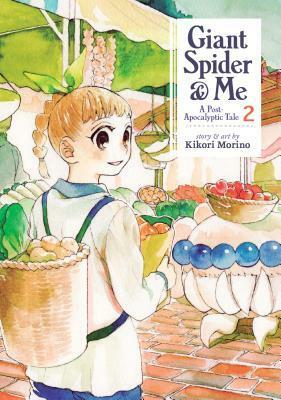 2 by Kikori Morino continues the story of Nagi and her giant spider, Asa. The second volume ended on a bit of a cliffhanger, and the story picks right back up where we left off here. Nagi’s home was damaged in a storm. Unable to repair the roof herself, she must venture into town and find someone willing to do the work. However, most people see giant spiders as monsters, not pets, and contention arises. Go For It, Nakamura! was a very adorable manga. It’s a cute slice-of-life boy’s love comedy story. 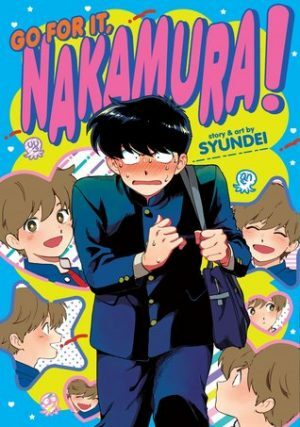 The main character is Nakamura, a high schooler who fell instantly in love with the cute, outgoing boy in his class on the first day of school. Unfortunately, Nakamura doesn’t know Hirose, not really. His goal? Overcome his shyness and klutzy habits, introduce himself, and become Hirose’s friend. After that, well, maybe then he can confess his true feelings. Another day, another manga read. This time it was No Matter How I Look At It, It’s You Guys’ Fault I’m Not Popular, Vol. 2 by Nico Tanigawa, a pseudonym used by the two creators. 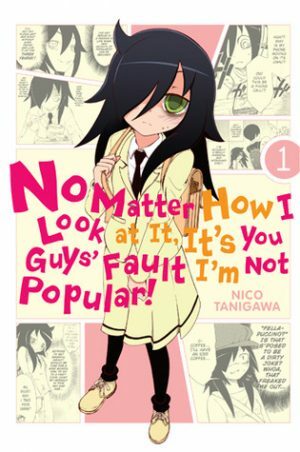 The second volume in the series continues with Tomoko’s misadventures in high school. 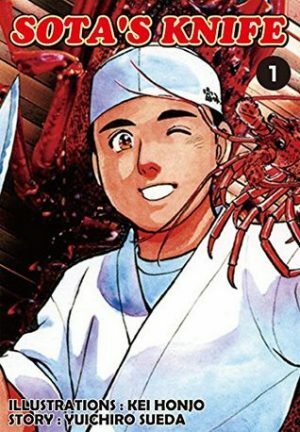 It’s just as fun as the first volume in the series, and one I definitely enjoyed. Small note here: The title is often shortened to Watamote, which is also the title the anime is known by. This is what I will be using to refer to this volume for the rest of this review. 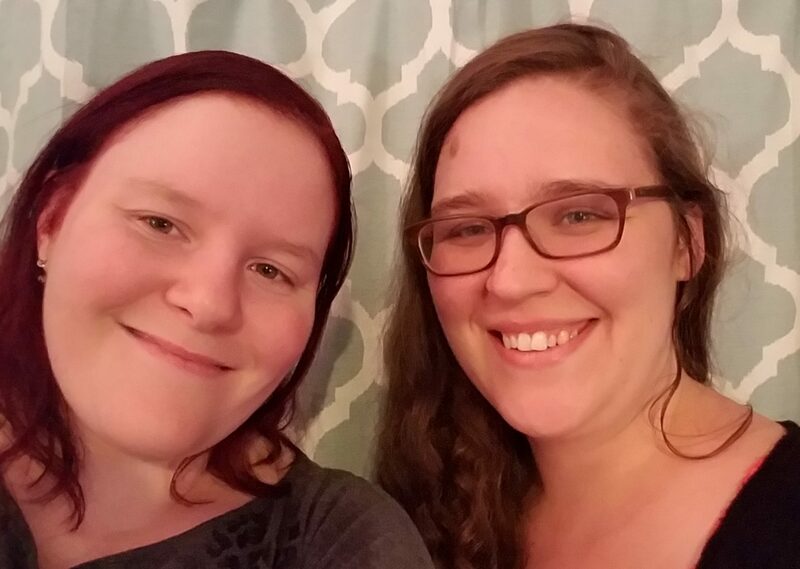 You know how sometimes you stumble on something that hits so close to home it makes you a little uneasy? This manga does that. Over and over again. 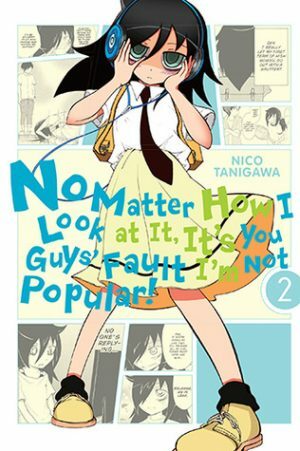 No Matter How I Look at It, It’s You Guys’ Fault I’m Not Popular, Vol 1 by Nico Tanigawa is a story about an awkward teenage girl who loves video games and manga, has trouble making new friends and talking to boys, and isn’t as close to her brother as she used to be.